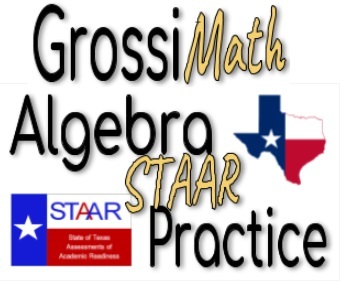 Math Pre-Test : Click here to start! 1.1 : Integers operations (+ , – , x , / ) and order of operations PEMDAS. 1.2 : Fractions, Percent % (+ , – , x , / ). 1.3 : Evaluating Algebraic expressions. 3.1 : Solve Linear Equations. 3.2 : Solve Literal Equations. 10.1 Factoring Trinomials ( a=1 , a≠ 1 ) Lesson 10 PDF. College Readiness Cut Score in Mathematics is a score ranging from 350 to 390 in the multiple-choice section. The TSI Assessment in Mathematics and Statistics is a multiple-choice test that covers the four content areas listed below. 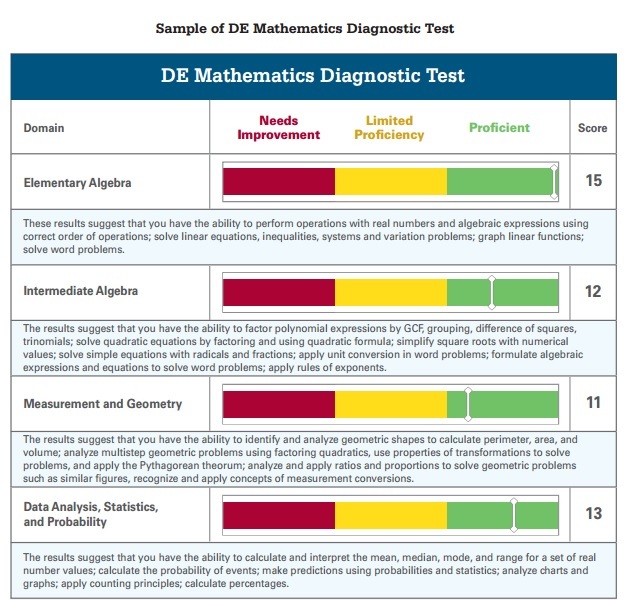 There are approximately 20 items on the TSI Assessment Test and 10 to 12 items in each section of the DE Diagnostic Test. Elementary Algebra and Functions measures your knowledge in linear equations, inequalities, and systems; algebraic expressions and equations; word problems and applications. Intermediate Algebra and Functions measures your knowledge in quadratic and other polynomial expressions, equations, and functions; expressions, equations, and functions involving powers, roots, and radicals; rational and exponential expressions, equations, and functions. Geometry and Measurement measures your knowledge in plane geometry; transformations and symmetry; linear, area, and three-dimensional measurements. Data Analysis, Statistics, and Probability measures your knowledge in interpreting categorical and quantitative data, statistical measures, probabilistic reasoning.